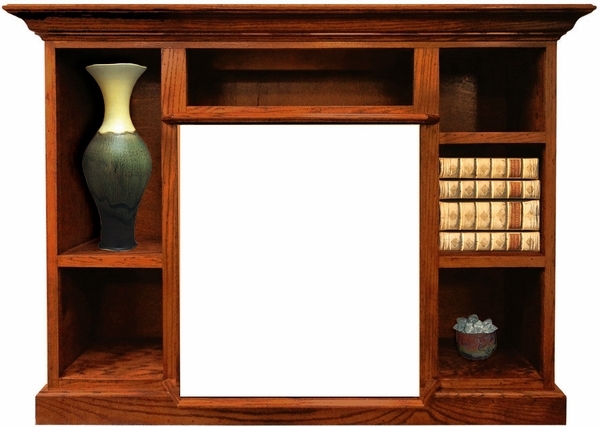 The Buck Stove Prestige Bookcase Mantel is constructed of classic materials you'll find both reliable and traditional. The solid oak construction is supplied with no MDF fillers and designed to fit a specialized set of models. The stately appearance of this mantel is supported by built in side shelves for the hearth which you'll find valuable aesthetic enhancements. Don't hesitate to include this simple and clean construction in both contemporary and traditional decors.